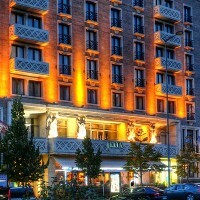 Many of Prague’s Hotels have their stories. Their roots go a few centuries back. If walls could speak other hotel walls would speak of relatively more recent events, from the twentieth century. We’ll relate a few such stories to you now. 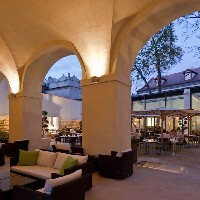 Augustine, a Luxury Collection Hotel, Prague is part of the building complex of the Augustinian Monastery of St Thomas, founded by Czech King Wenceslas II. (1271 – 1305). 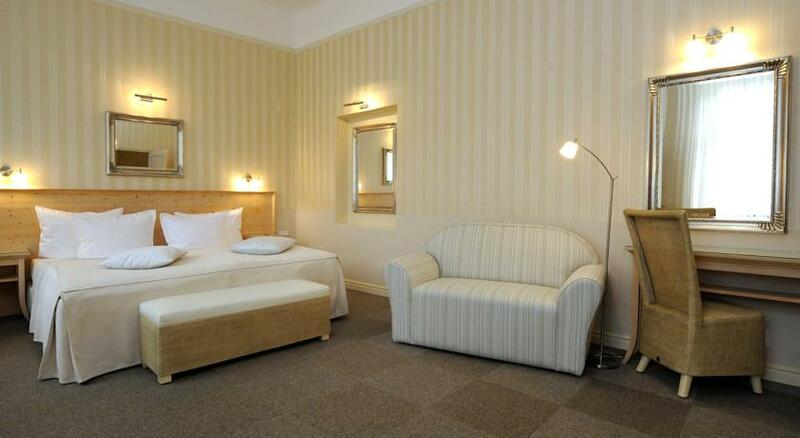 Some of the rooms in the hotel are the result of architects having joined several monastic cells together. The walls here are imbued with monastic history, though only to some extent, as the hotel offers incomparably more luxury than ever went with frugal monastic life. It does, however, draw inspiration from some details of ‘orderly’ life, the interiors, for example, with the materials and colour scheme of monastic robes. You will also be reminded of the monks when you visit the Refectory bar in the former monastic refectory, the dining room of the monks. The St. Thomas Brewery (Svatotomášská pivnice) in the underground grotto is not there by accident. 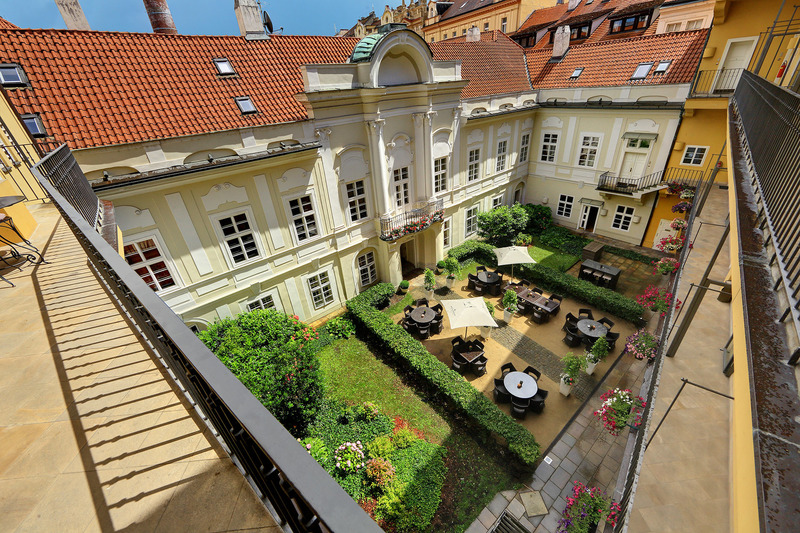 The brewery was part of the monastery, probably from the mid-14th century, later famed for its signature dark beer, drawing Prague’s artists and important personages alike. 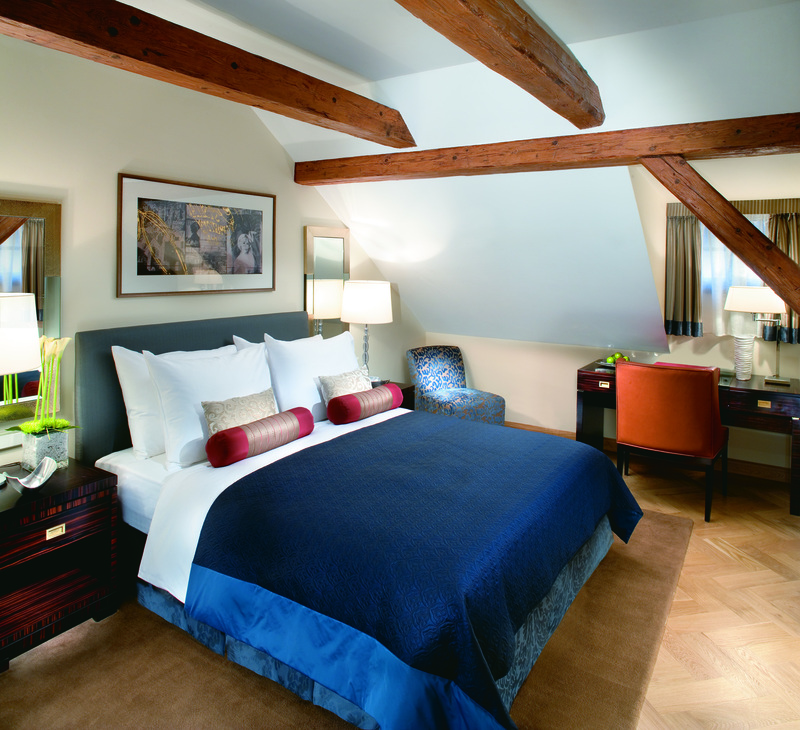 Spiritual and cultural history has left its mark on the Mandarin Oriental Prague, whose foundations stand on two former monastery buildings. The Gothic church of St Mary Magdalene was part of the Convent of the Magdalenites known for their white robes as the “White Ladies”. 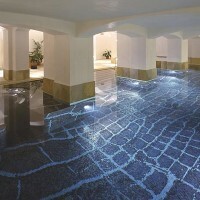 The original brickwork of the Church can be seen to this day, in the Spa lobby. In the 17th century the Dominicans built their monastery on the same site and remained here until 1783. The site then saw apartments, warehouses, barracks, a post office and printing plant, but the echoes of history have lasted till the present. Examples include the historical masonry of the refectory and chapter hall, where the abbot and chaplains met, or the Renaissance vaulted ceilings, the Medieval well or the Baroque cloister. History greets you at the entrance gate, which is set into the original impressive Baroque wall. 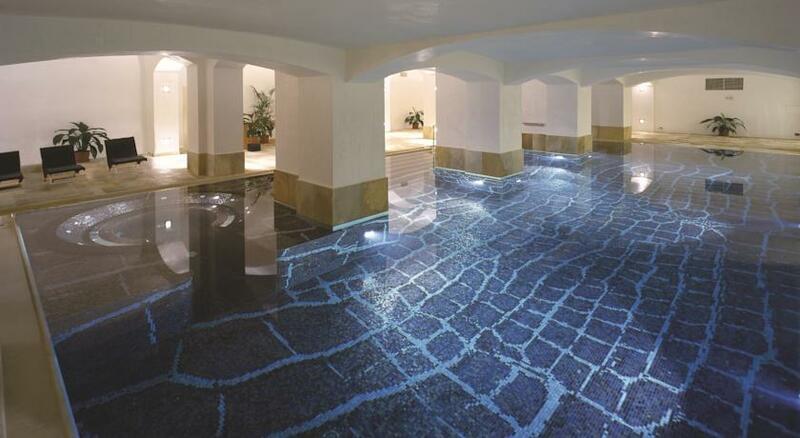 Where today the guests at Carlo IV fathom out the pool, stroke by stroke, the Communist-era State security men (StB) used to open and read the private letters of anyone corresponding to or from abroad. That was before 1989, when the former Czechoslovakia was ruled by the Communist Party. The StB was the political police, breaking the secrecy of correspondence for the sake of censorship. They were out to catch anything the former regime found objectionable, and to intercept inappropriate letters en route to the addressee. The Post office moved in here shortly after World War II, before which time the building housed the Czech Mortgage Bank, which had commissioned the building of this neo-Renaissance palace at the turn of 19th and 20th centuries. In 1949, one year after the Communist coup in Czechoslovakia, the Grey Sisters Convent of St Francis fell by the wayside. In place of the nuns caring for the poor and the sick, the building came to house State Security who used it (including the adjacent church of St Bartholomew) as offices, interrogation rooms, and for confinement. In its time, one of the basement cells came to house the then political prisoner Václav Havel, who after the Velvet Revolution of 1989 became the democratic President of the then still united Czech Republic and Slovakia. The Sisters of the Order then returned to the site and gradually set about making repairs. They also turned to providing accommodation, as a way to bring funding for their charitable activities. And so the Hotel Unitas came into being. 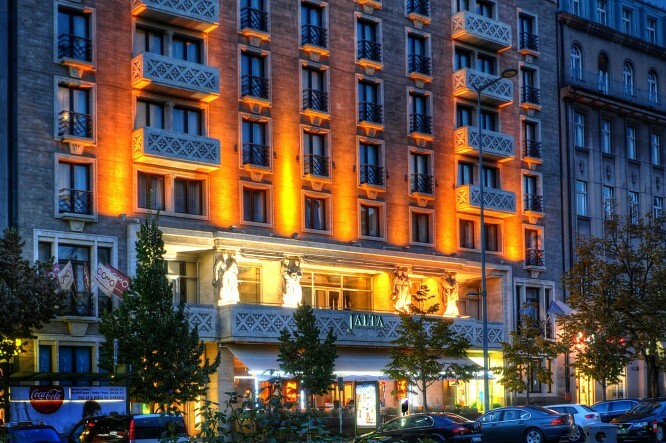 Hotel Jalta from the 1950s rose up on Wenceslas Square on a plot made vacant by a World War II bombing raid. It was built at a time of the flourishing socialist ‘edification’ and construction boom, in the then Czechoslovakia. The President of the time, Antonín Zápotocký, who had trained as a stonemason, personally took part in choosing the stone. Under Jalta a crisis fallout shelter for the Chiefs of the General Staff was built. Today a portion of the shelter is a Museum displaying uniforms, photographs of border defences as well as period radios and teletypes. The exhibition also includes a wire-tapping room. The rooms and apartments had artfully incorporated “bugs” (eavesdropping devices), for example, built into a wooden clothes brush, and the guests’ phone calls were covertly witnessed. Having the dark past recounted is aptly complemented by the claustrophobic atmosphere of the shelter. Do you hear me, Figaro? 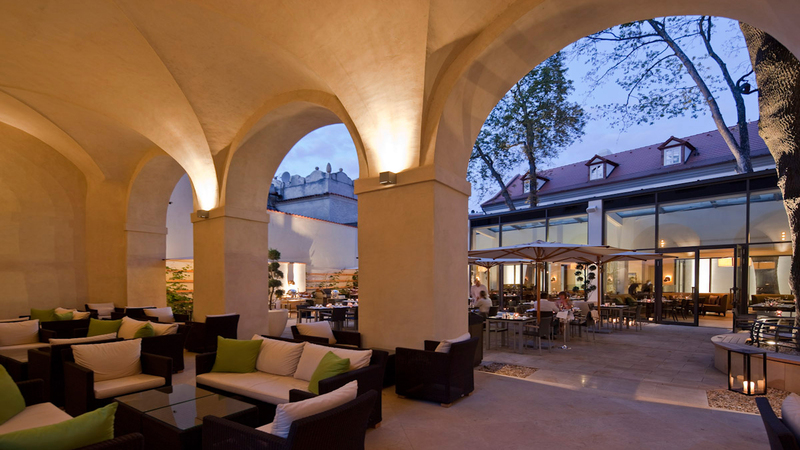 To end our excursion into Prague’s hotel history on a more romantic note, let’s go to the splendid Smetana Hotel. It is situated in an 18th century Rococo palace, built to be the seat of Count Hubert Karel Pachta of Rájov. 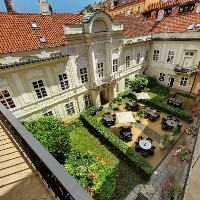 Now you can stay in a place once popular with famous composers, including Wolfgang Amadeus Mozart, Ludwig van Beethoven, Richard Wagner and Josef Mysliveček. Jana Bohutínská is a journalist and coach, whose main interests are culture, art, business, and personal development. She likes to travel, swim, and walk, and also enjoys yoga. Much of her free time she spends in solitude by the sea, in the forest, in a café, or in her own garden in the Bohemian Karst.